On June 11, the British Interplanetary Society began a two day meeting on a most unusual topic according to a BBC news article: “How to Overthrow a Martian Dictatorship.” The meeting envisaged a Mars colony ruled over by a ruthless dictator who trampled on the rights of workers in a futurist society controlled by a corporation. The dictator needed to be overthrown without destroying the colony itself. According to the author of the BBC article, Richard Hollingham, the meeting brought together 30 prominent scientists, engineers and philosophers who took their “task seriously,” only, wink wink, “two short blocks from the London headquarters of Britain’s security service, MI6.” . At the same time as the June 11/12 meeting was held, real life events were allegedly occurring at a secret Mars colony that remarkably paralleled what the British Interplanetary Society was discussing. Was it just coincidence, or are British scientists and policy makers, with more than just physical proximity to Britain’s MI6, secretly preparing for future efforts to remove from power ruthless dictators controlling secret corporate colonies on Mars? This is the third annual conference on extraterrestrial liberty. Last year the event tackled the challenge of writing a constitution for an alien settlement, concluding that successful space colonies should base laws and liberties on the US Constitution and Bill of Rights. The scenarios the group is contemplating are easiest to imagine if you think about what a space colony might be like. Perhaps a domed settlement with a few hundred residents, beneath a thin dusty Martian sky. A fragile and isolated outpost of humanity 225 million kilometres from the home world. With a brutal dictator and his cronies in charge of the oxygen generators, for instance. As we know private corporations can be just as ruthless and despotic as the worst governments. If you strike, then maybe the corporation says ‘that’s fine – let me show you to the airlock and you can leave’ and off you go into the vacuum of space. More than coincidentally, only two days before the BBC published Hollingham’s June 22 report of the British Interplanetary Society meeting, a whistleblower claims that he was part of an inspection team to investigate the very scenario the meeting had discussed. According to Corey Goode, who claims to have served with a secret space program for 20 years from 1987 to 2007, he was part of an inspection team sent to investigate accusations of slave labor at a mining facility on Mars owned by an Interplanetary Corporate Conglomerate. Goode provided a detailed report on June 22 (“coincidentally” the same day as Hollingham’s article appeared) that described how he and a Lt Col Gonzales (pseudonym) led the inspection tour that was accompanied by its own armed security team. 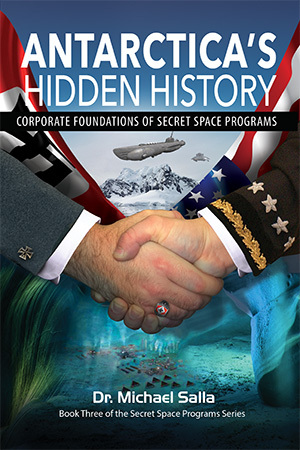 Apparently, the inspection tour had been offered by the Interplanetary Corporate Conglomerate to a “Secret Space Program Alliance” (that Goode and Gonzales are affiliated with) to counter accusations of slave labor at the corporation’s covert Mars and space facilities. Gonzales said that the base commander was a tyrant and a total megalomaniac who was not used to people challenging him diplomatically or otherwise on his base. The events described by Goode are amazingly similar to the scenario discussed at the June 11/12 British Interplanetary Society event that are summarized in Hollingham’s June 22 article. Here we have a corporate base commander who was a “tyrant and a total megalomaniac,” who would not allow anyone to challenge his authority, including more senior corporate officials. 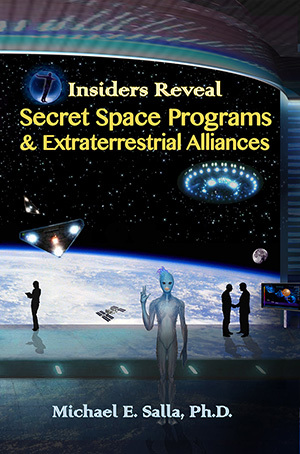 Goode has been claiming that we are soon to witness a massive document dump that will reveal the truth about secret space programs, and criminal abuses that have occurred within some of them. “Coincidentally,” Wikileaks has again begun releasing massive document dumps that made it a media sensation back in 2000. In May, after a five year hiatus, Wikileaks restored its electronic drop box for whistleblowers to again anonymously share data. All is in place for an organization like Wikileaks to share the document dumps that Goode claims will reveal all. Soon after the document dumps occur, according to Goode, there will be war crimes trials organized by the Secret Space Program Alliance. Recent hacking of U.S. Federal government personnel and corporate contractor personnel files is allegedly part of this covert preparation process. The similarities in the scenarios discussed at the June 11/12 British Interplanetary Society meeting, and the June 22 reports by Goode and Hollingham, lead to an astounding conclusion. 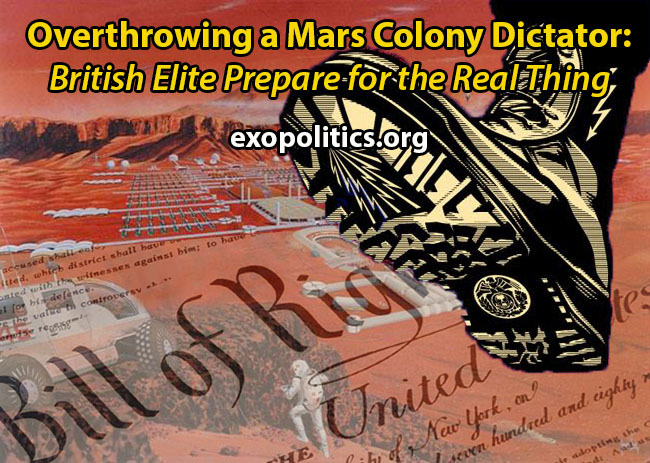 British scientists, engineers, philosophers and policy makers, with the tacit support of MI6 officials, are secretly preparing the British elite for future disclosures about secret colonies on Mars and elsewhere that have been run as corporate dictatorships by megalomaniac tyrants that have been abusing workers for years. How to remove these Mars Colony dictators without them killing off their personnel and/or destroying their valuable facilities is a problem all humanity will soon have to confront.